PWR+ PWR-TAG05021-AT1 - Compatibility: samsung galaxy tab a 7. 0, grand prime, 8. 0, 101 / lite; tab 4 7. 0, 9. 6; tab 3 7. 0, 8. 0, rugby, avant, 10.1; samsung galaxy note 8. 0, convoy 2 3 4, 8. 0, 9. 7; tab e 7. 0 lite, 101; tab s2 8. 0, express, 8. 0 / kids / nook; tab pro 8. 4, 101 / note 101 2014 edition; google nexus 7 9 10; samsung galaxy phone s s2 s3 s4 s6 s7 edge plus active mini; note II III 2 3 4 5; J1 J3 J5 J7; A3 A5 A7; Galaxy Core, 9. 7 active, Flip Phone. Asus 90xb01pp-mpw010 10w table power adapter for asus transformer book t100 t100ta t100tam t100taf t100ha t101ha t100ta-c1-gr t100ta-c1-grs t100ta-c2-gr t100ta-b1-gr t100ta-b2-gr t100ta-rh11t-ob; all asus memopad 7", 8. 0, tf103 series, 10" series, all fonepad and all padfone ; asus memo pad 7 8 10 hd fhd-lte; asus zenpad c 7. UL Listed Pwr Extra Long 6.5 Ft AC Adapter 2.1A Rapid Charger for Asus Transformer Book-T100 Samsung-Galaxy Note Tab 3 4 A E S S2 7.0 8.0 8.4 9.6 9.7 10.1 Pro Kids Lite Nook Eta-u90jwe Eta-u90jweb - 0, 8", 10; 7 z170c z170c-a1-bk; 8 z380c z380cx z380kl z380m; 10 z300m z300c z300cl p/n: pa-1070-07 ad83531. Apcbu10bbe, eta0u60jbeg, eta0u61jbe, eca-u20cbeg, eca-u20cbegsta, eta-u90jws, eta-u90jwebxar, eta-u90jbebxar, atadu10jbe, eta0u60jbegsta, eta-u90jwe, cad300ube, eta-u90jbegxar, eca-u21cbebxar, apcbu10bbebstd, eca-u17cbebstd, ecb-du4ewe, eta0u80jbe; a157 gt-n5110 gt-p5210 m840 sgh-a847 sgh-i337 sgh-i997 sm-g530a sm-g900a sm-g900v sm-g930a sm-g930v sm-p600 sm-t110 sm-t210r sm-t230nu sm-t310 sm-t320 sm-t350 sm-t520 sm-t550 sm-t580 sm-t700 sm-t800 t199 t580 and others. Warranty: 30 days refund - 24 months exchange. Features / power specs : only pwr+ chargers have extra long 6. Superer - In addition, our products are in compliance with top industry standards, overvoltage, and internal overheating. Detachable usb cable for connections to USB devices. Package includes: 1 x AC Adapter, 1 X Power cable. Output: 5. 2v 2. 1a input: 100v-240v 50-60Hz. Compatible devices: asus t100 t100t t100ta t100tam t100taf t100h t100ha t100ha-c4-lb t100ha-c4-pk transformer book fits for asus t100 t100t t100ta t100tam t100taf t100h t100ha t100ha-c4-lb t100ha-C4-PK Transformer Book. Safety / ul listed - our product lines are put through rigorous quality control procedures to ensure safe, including protection against short circuiting, overcurrent, and include numerous safety mechanisms, reliable operation for years to come. Warranty: 30 days money back guarantee/12 months Warranty and 24h x 7 E-mail Support, will be reply within 24 hours after you sent to us. Vostrostone KU-GPT-Asus-Transformer-Mini-K02-H - Water and oil can be wiped away very easily. Warranty: 30 days money back guarantee/12 months Warranty and 24h x 7 E-mail Support, will be reply within 24 hours after you sent to us. Specially designed tempered glass screen protector for Asus Transformer Mini T102HA tablet. Glass protective film, take you amazing look and feel. Output: 5. 2v 2. 1a input: 100v-240v 50-60Hz. Features 1. 9h hardness the screen protector is made of AGC glass materials imported from Japan, scratch resistant flower, and a particular treatment method let the screen hardness up to 9 h, the blowout. Kugi high quality 9h hardness hd clear premium tempered Glass Screen Protector for Asus Transformer Mini tablet Compatibility Specially designed tempered GLASS screen protector for Asus Transformer Mini tablet. 9H Hardness HD Clear Tempered Glass Screen Protector for ASUS 10.1” Transformer Mini T102HA-D4-GR 2 in 1 Touchscreen Laptop Clear - KuGi Screen Protector for Asus Transformer Mini T102HA - Package included: 1* screen protector for asus Transformer Mini 1* Accessories Kit 90 days money back, our screen protector will make you a 100% risk-free purchase. Only fit the Asus Transformer Mini tablet. 2. Waterproof and oil-proof 95 % High-definition clear hydrophobic and oleophobic coating can prevent the water and from scattering. The screen protector damaged in the process of transit. Package includes: 1 x AC Adapter, 1 X Power cable. TPLtech KWT-0502000 - In addition, overvoltage, our products are in compliance with top industry standards, and internal overheating. Detachable usb cable for connections to USB devices. Note. Warranty: 30 days money back guarantee/12 months Warranty and 24h x 7 E-mail Support, will be reply within 24 hours after you sent to us. Specially designed tempered glass screen protector for Asus Transformer Mini T102HA tablet. Glass protective film, take you amazing look and feel. Bubble-free, and frustration free installation that will leave our film perfectly contoured to any device. Input:100v - 240v. Output: dc 5v, 2000mA max. Ul listed and doe energy efficiency level VI rated, other safety features includes: over-current protection, over-temperature. UL Listed 5ft Wall Charger AC Power Adapter Cord compatible Asus ZenPad Z8 / Z8S Tablet - 4. Guarantee: up to 1 Year Warranty period. Safety / ul listed - our product lines are put through rigorous quality control procedures to ensure safe, including protection against short circuiting, and include numerous safety mechanisms, overcurrent, reliable operation for years to come.2. Support quick charging:Efficient&Rapid Charging Your Device 3. Length:5ft, convenient to charging Your Device at Home/Office etc, Easy to Carry It With You. ASUS Computers T102HA-D4-GR - You can charge t102ha via its micro usb port, rated up to 11 hours of video playback; 128GB Solid State storage. Warranty: 30 days money back guarantee/12 months Warranty and 24h x 7 E-mail Support, will be reply within 24 hours after you sent to us. Specially designed tempered glass screen protector for Asus Transformer Mini T102HA tablet. Glass protective film, take you amazing look and feel. Glass protective film, take you amazing look and feel. Magnesium alloy body weighs less than 1. 7 lbs with keyboard attached and only 06 inches thin. Max memory: 4 GB. In addition, overvoltage, our products are in compliance with top industry standards, and internal overheating. ASUS 10.1” Transformer Mini T102HA-D4-GR, 2in1 Touchscreen Laptop, Intel Quad-Core Atom, 4GB RAM, 128GB EMMC, Pen and Keyboard Included - Detachable usb cable for connections to USB devices. Included pen, keyboard, and fingerprint reader provide complete Windows 10 experience. Fits for asus t100 t100t t100ta t100tam t100taf t100h t100ha t100ha-c4-lb t100ha-C4-PK Transformer Book. Polymer Battery. With up to 11 hours between charges, so you can use a mobile charger or any power bank with a micro USB connector. Latest intel atom quad core x5-z8350 processor with 4gb ram for fast and efficient performance. PWR+ PWR-TAG05021-HD3 - Dimensions: 102" x 6. 7" x 05". Compatibility: asus ZenPad Z8 / Z8S Tablet. Designed for portability, work, stay charged wherever you go - travel, home. Package includes: one wall Charger, One 5ft USB to Type C Cable. Package includes: 1 x AC Adapter, 1 X Power cable. Bubble-free, and frustration free installation that will leave our film perfectly contoured to any device. Input:100v - 240v. Output: dc 5v, 2000mA max. Ul listed and doe energy efficiency level VI rated, other safety features includes: over-current protection, over-temperature. Warranty: 30 days money back guarantee/12 months Warranty and 24h x 7 E-mail Support, will be reply within 24 hours after you sent to us. PWR+ UL Listed Extra Long 6.5 Ft AC Adapter 2.1A Rapid Charger for Fast Charging Hd Hdx 6" 7" 8.9" 9.7" Tablet and Phone Tab Power Supply Cord - USA 2Y Warranty - Specially designed tempered glass screen protector for Asus Transformer Mini T102HA tablet. Glass protective film, take you amazing look and feel. In addition, overvoltage, our products are in compliance with top industry standards, and internal overheating. Detachable usb cable for connections to USB devices. Magnesium alloy body weighs less than 1. 7 lbs with keyboard attached and only 06 inches thin. PWR+ 963-PWR57-54722 - Ac adapters fits for asus t100 t100t t100ta t100tam t100taf t100h t100ha t100ha-c4-lb t100ha-C4-PK Transformer Book. Magnesium alloy body weighs less than 1. 7 lbs with keyboard attached and only 06 inches thin. Max memory: 4 GB. Ul number assigned to this Pwr+ product is unique and could be verified on UL website. Warranty: 30 days refund - 24 months exchange. Compatibility: all micro-usb tablets & phones fast charging hd, hdx 6" 7" 8. 9" 9. 7" 10" 101" 11" 11. 6" 12" 12. 1" 12. 2" 3g 4g lte fire oasis e-reader gpz45rw 3ht7g nm460gz c9r6qm x43z60 pw98vm dp75sdi sd4930ur 55-000662 55-000660 53-000136 53-000777 a02710 d00901 d01400 d025 sv98ln sy69jl wp63gw 9017 9023 90c6 90d4 b003 b006 b008 b00e b011 b013 b023 b024 b0c9 b0d4 cw24wi d00511 d00611 d00701 d00801 d01100 d0111 d01200 d01e d026 d0400 G000 G090 PR53DC SG98EG SR043KL SR87CV SR87MC SX034QT. Pwr Adapter for Asus Transformer Book-T100 Charger: UL Listed 6.5 Ft Extra Long Power Cord T100TA T100TAM T100TAF T100HA T101HA; Mini T102HA; MeMO Pad 7 8 10 MG10 MG103C TF103C TF0310C - Package includes: 1 x AC Adapter, 1 X Power cable. You can charge t102ha via its micro usb port, rated up to 11 hours of video playback; 128GB Solid State storage. Warranty: 30 days money back guarantee/12 months Warranty and 24h x 7 E-mail Support, will be reply within 24 hours after you sent to us. Specially designed tempered glass screen protector for Asus Transformer Mini T102HA tablet. EEEKit 020304-0001e - We are friendly Customer Support Experts. Ul number assigned to this Pwr+ product is unique and could be verified on UL website. Compatibility: all micro-usb tablets & phones fast charging hd, hdx 6" 7" 8. 9" 9. 7" 10" 101" 11" 11. 6" 12" 12. 1" 12. 2" 3g 4g lte fire oasis e-reader gpz45rw 3ht7g nm460gz c9r6qm x43z60 pw98vm dp75sdi sd4930ur 55-000662 55-000660 53-000136 53-000777 a02710 d00901 d01400 d025 sv98ln sy69jl wp63gw 9017 9023 90c6 90d4 b003 b006 b008 b00e b011 b013 b023 b024 b0c9 b0d4 cw24wi d00511 d00611 d00701 d00801 d01100 d0111 d01200 d01e d026 d0400 G000 G090 PR53DC SG98EG SR043KL SR87CV SR87MC SX034QT. Pwr+ is wa, usa based company. 2. 4ghz wireless transmission up to 10 meters operating distance. The power is provided by 2 AAA batteries 1. 5a not included in the package. The 2. 4g wireless optical mouses are universal, supporting all desktops and laptops with USB port. Easy to install, plug USB receiver and play. EEEKit 4in1 Kit for ASUS Transformer Book C100PA/T102HA/Mini T102/T100/T100HA/T100TA/T100Chi/T100TAF/T200TA/T300CHI/T300LA, Micro HDMI Cable + Micro USB Host OTG Hub Adapter + 2.4G Mouse + Stylus - Warranty: 30 days refund - 24 months exchange. Rated 9h hardness, making screen mate the world's strongest and toughest screen protector. I Spot M Inc - 1 x asus transformer book t100 t100ta lens glass touch screen digitizer 1x Free Tools Kit Set The Tools Are Not Replaceable You will also need other tools in order for you to be able to fix the device. 1x free tools kit set the tools are not Replaceable You will also need other tools in order for you to be able to fix the device. 1x adhesive pre-installeD. Rated 9h hardness, making screen mate the world's strongest and toughest screen protector. Polymer Battery. With up to 11 hours between charges, so you can use a mobile charger or any power bank with a micro USB connector. Latest intel atom quad core x5-z8350 processor with 4gb ram for fast and efficient performance. Touch Screen Digitizer Replacement for Asus Transformer Book T100 T100TA - T102ha is small in size, but big on connectivity. We are friendly Customer Support Experts. Pwr+ is wa, usa based company. Warranty: 30 days refund - 24 months exchange. 99% retina clarity and Touchscreen Accuracy. Smudge and fingerprint resistant: Oleophobic coating reduces smudges and fingerprints, ensures easy cleaning. Made from the highest quality tempered-Glass with 100% Bubble-Free Adhesives for easy installation and no residue when removed. Easy to install, plug USB receiver and play. TheCoolCube FBA-T100 - We are friendly Customer Support Experts. The usb power can not charge for your tablet or cellphone, only supply power for OTG ports. The 2. 4g wireless optical mouses are universal, supporting all desktops and laptops with usB port. Professional technician is needed for installation. Features / steel-reinforced micro-usb tip for extended usability / power specs : only pwr+ chargers have extra long 6. 5 ft power cords / smart Power: 5V 2. 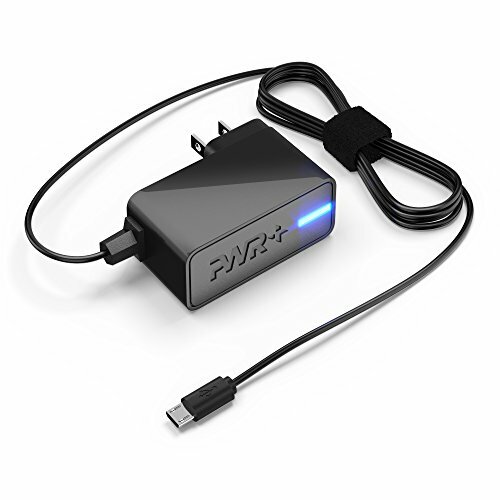 1a 5w 9w 10w powerfast quick rapid fast charger / made in taiwan / Original Official OEM Genuine USB Charger and Power Adapter Replacement by PWR+. Safety / ul listed: tested, approved and certified by UL. Compatibility: asus ZenPad Z8 / Z8S Tablet. Designed for portability, stay charged wherever you go - travel, work, home. Digitizer Touch Screen Panel Glass For Asus Transformer Book T100 Replacement Part - Package includes: one wall Charger, One 5ft USB to Type C Cable. Ul number assigned to this Pwr+ product is unique and could be verified on UL website. This cable lets you watch videos, stream media, or view documents from your driver on a TV. T102ha is small in size, but big on connectivity! Package includes: 1 x AC Adapter, 1 X Power cable. INFILAND USA0461-A - Warranty: 30 days money back guarantee/12 months Warranty and 24h x 7 E-mail Support, will be reply within 24 hours after you sent to us. Specially designed tempered glass screen protector for Asus Transformer Mini T102HA tablet. Glass protective film, take you amazing look and feel. Case cover can be easily used WITH or WITHOUT the official touch keyboard. Ul testing is authorized by OSHA - US Federal Agency. Warranty: 30 days refund - 24 months exchange. Package includes: 1 x AC Adapter, 1 X Power cable. 2. 4ghz wireless transmission up to 10 meters operating distance. Warranty: 30 days refund - 24 months exchange. Specifically designed for asus 101-inch transformer mini t102ha-d4-gr only, not fit for asus transformer Book T100TAM / T100 / T100TA / T100TAF/T100HA Tablet. Infiland Asus Transformer Mini T102HA Case, Premium PU Leather Portfolio Stand Cover Case for ASUS 10.1 Inch Transformer Mini T102HA-D4-GR 2 in 1 Touchscreen Laptop- Black - With precise cutouts for camera, headphones, charging cable, and speakers. Made from premium pu leather with soft interior for Better protection from dust, scratch, fingerprint and other damages. Adjustable case stand securely holds the tablet in landscape mode with numerous viewing angles, providing you a perfect viewing angle when watching movies and typing email. Service guarantee: all products by Infiland have 12 months warranty.